Today we look at a ground-up custom build by our Adelaide gunsmiths, capable of competition-grade performance at 1000m distances. The new owner and lucky shooter only needs to fit a scope, head to the field and step it out as far as their skill allows. 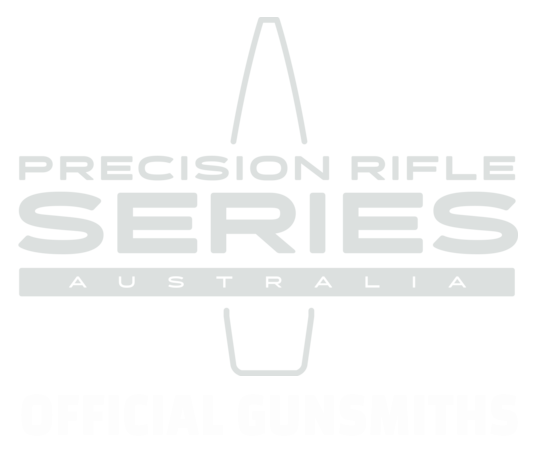 One of our specialties as gunsmiths (and passions as shooters) is precision and practical rifle series (PRS) style competition – so that formed the overall direction and theme of this custom rifle build. It had to be something easy to maneuver in movement competition with reliable performance and precision accuracy. 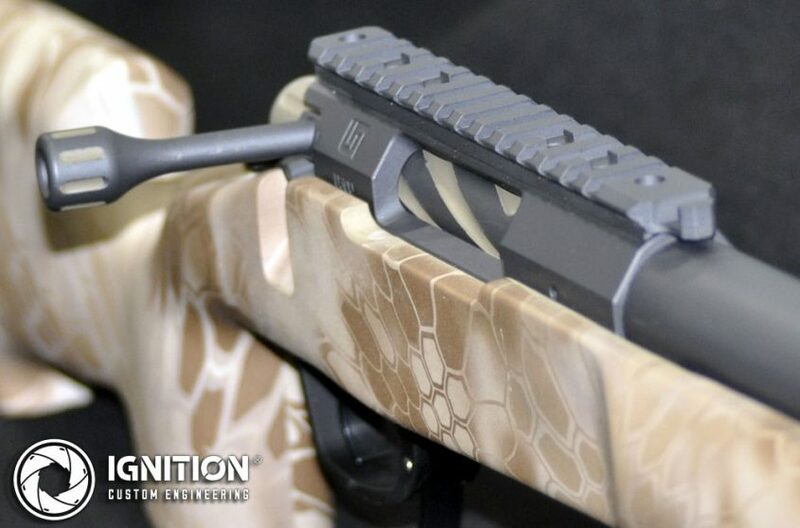 We love the Grayboe composite stocks, so with a Grayboe Renegade Stock as a foundation, we sourced a brand new compatible action – the Ultimatum Precision U300 (3 lug) – and went from there. 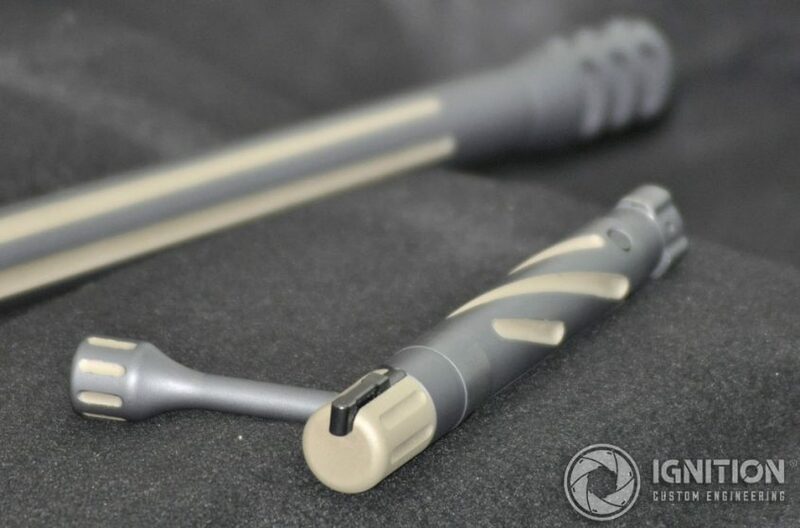 The Ultimatum U300 (3 lug) action came with a pre-fluted bolt and picatinny rail. 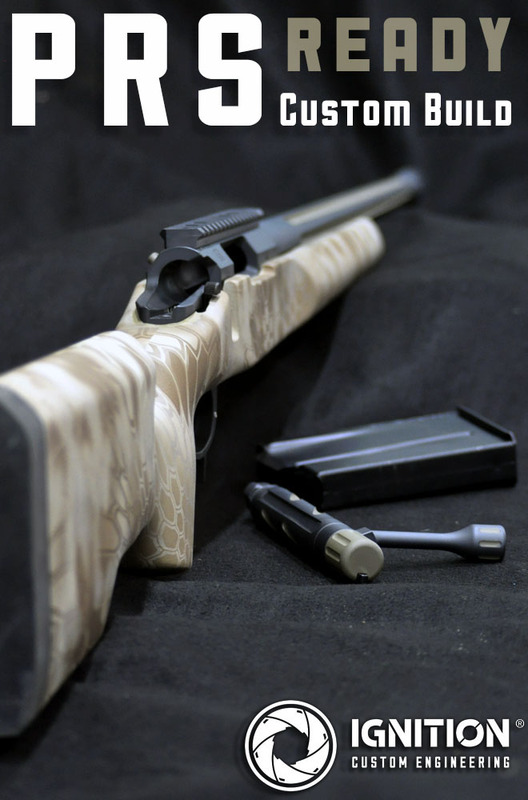 We chambered and fitted a Swan barrel in 6.5 creedmoor. 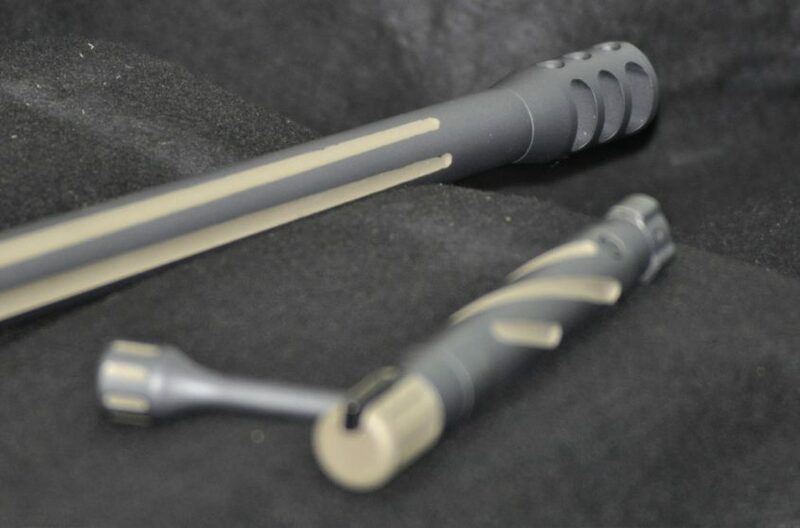 It’s 24″ length with a 1:8 twist its ideal for 140gr. 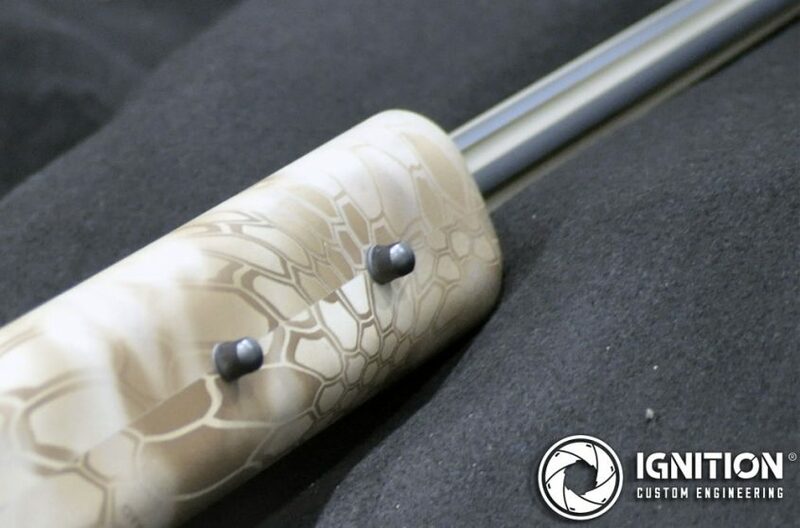 Of course finished with a muzzle thread and our custom side-and-top port design muzzle brake for recoil management. 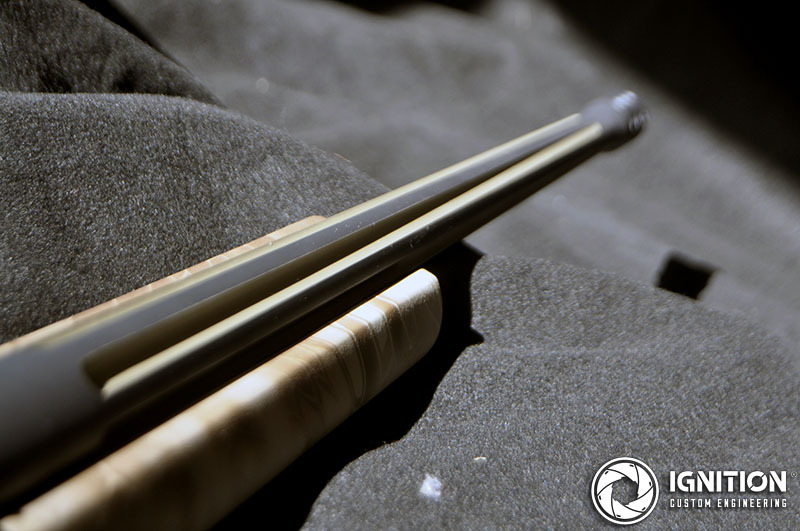 The barreled action was bedded into the stock to aid in consistent performance. 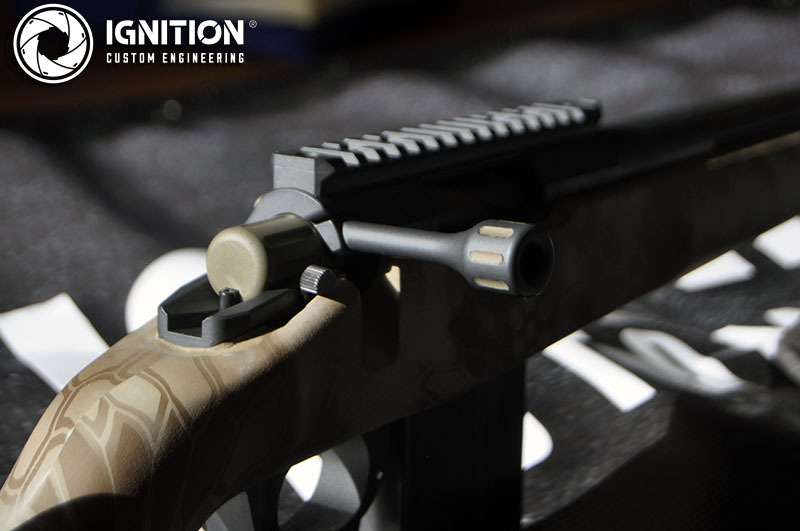 The Grayboe Renegade weighs just over 1.5kg and comes with aluminum pillars and front and rear studs and recoil pad, ready for Remington 700 footprint actions. We selected one finished in Kryptech Highlander so the stock really was competition ready in look and feel as soon as the bedding was set. 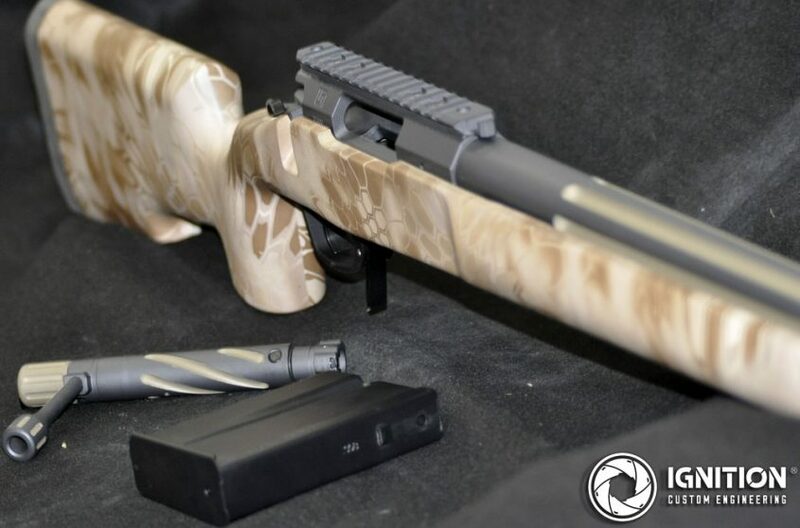 The magazine system was completed with an Atlasworx bottom metal and Accurate Mag 10 round AICS magazines, and Timney Trigger‘s Remington 700 (model 510) with safety and adjustable weight pull down to 680 grams (1.5lbs) to ensure crisp and smooth operation under the pressure of competition. 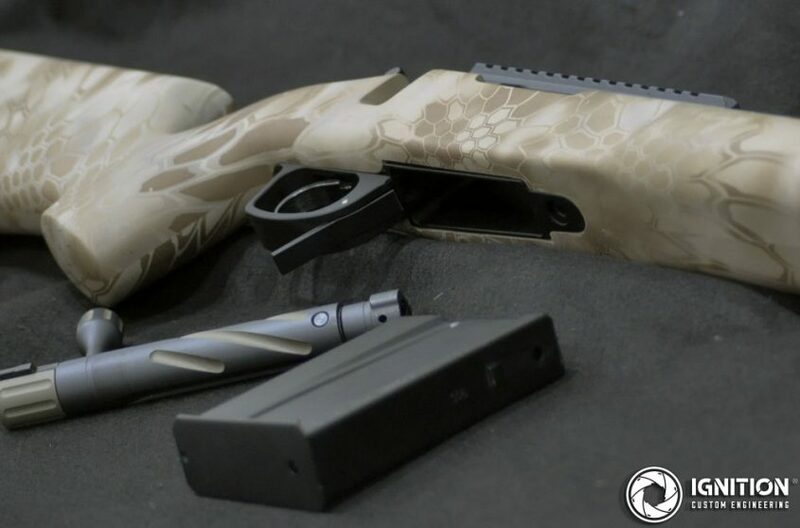 The finishing touches included a custom blend Cerakote duo-tone – to highlight the bolt and barrel fluting and create something unique for the new owner.